388'10" by 35'5" by 12'4"
1943: Light antiaircraft modified to 2x2, 2x3 25mm guns. Late 1943: One 5" turret replaced by 2x3 25mm guns. Type 13 and Type 22 radar fitted. 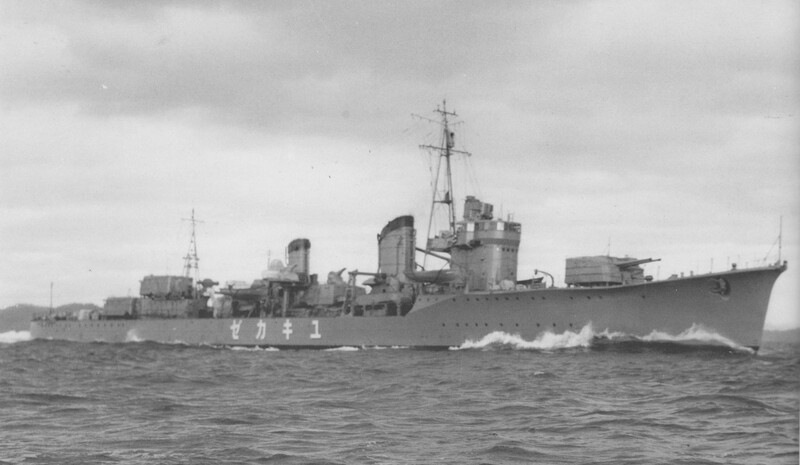 The Kageros or Type A destroyers were completed in 1939-41 and took full advantage of the lapse of the naval treaties. With Japan rapidly becoming a military oligarchy, they were constructed with little regard for financial restrictions as well. 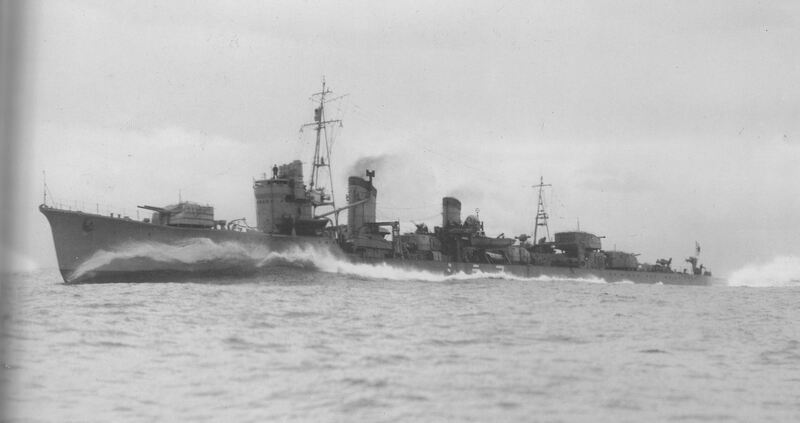 With the design going back to 1937, they drew upon every lesson learned from Japanese destroyer design through the Asashio class (which they very closely resembled). Construction was welded internally, but riveting was retained for the outer shell. The machinery was of a new lightweight type with improved efficiency. The boilers had air preheat and operated at higher temperature and pressure than earlier designs. Unsurprisingly, they were very powerful units with excellent firepower, strength, and range, lacking only somewhat in speed. They were superior to any Western destroyer of 1939.